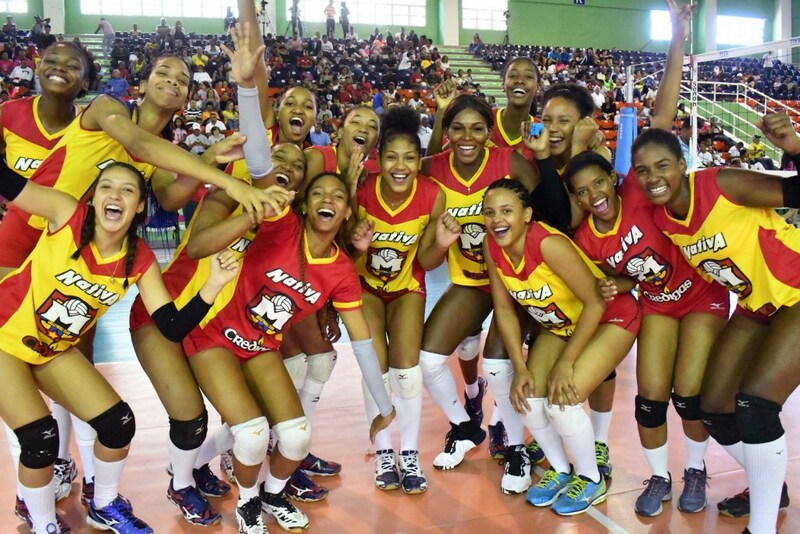 SANTO DOMINGO, Dominican Republic, March 18, 2019 – Mirador and Cristo Rey are tied in first place of the 2019 Women’s Dominican Volleyball League with two matches remaining for each team in the Schedule of the regular series. The two teams are to meet on Wednesday in which is considered a crucial match. Both teams have 5-2 win-loss records with Cristo Rey getting the edge in points 23-22. Natalia Martínez had 19 points as the scoring leader for Mirador followed by Yanlis Feliz with 11. Johana Montero scored 12 for Guerreras. Livel Eve and Erasma Moreno led Caribeñas with 22 and 17 points, respectively, while Annerys Vargas and Cándida Arias added 11 and 10. For Cristo Rey, Gina Mambru racked up 20, Madeline Guillén and Marifranchi Rodríguez each had 14 points and Romina Cornelio added 10.